This suave, cutting edge area is the home of Camberwell College of Arts, the South London Gallery and the Blue Elephant Theatre. This attracts a young, trendy crowd and has helped property prices gradually begin to increase. With this, people are constantly moving to and from the area, and if you’re thinking of doing the same then may we be the first to recommend using our professional man and a van in Camberwell. 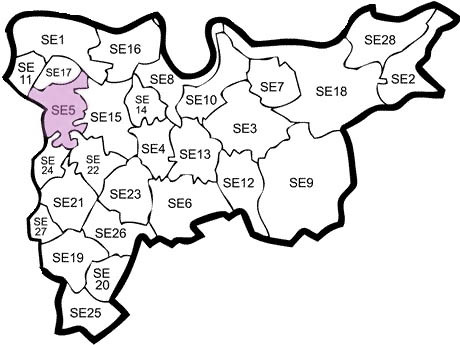 Located in the London Borough of Southwark, the SE5 is in close proximity to Charing Cross and Lambeth. Transport for the area is good and will be improved imminently; the Bakerloo line has an extension to Camberwell planned that will make things much more convenient for locals and increase the popularity of the region. If you are looking to move to this fashionable area then why not hire our man and a van in Camberwell? Our range of vans are able to accommodate all of your belongings and our friendly staff will help you load and unload the vehicle for your convenience.